The Sloan Dresser and its gorgeous looks matches most of our wood bed frames, offering you the ability to mix and match your favorite bed frame with this lovely case good. 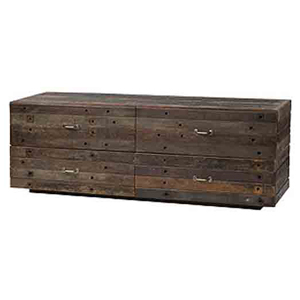 Completely handcrafted from exotic demolition hardwoods, no two Sloan Dressers are the same. 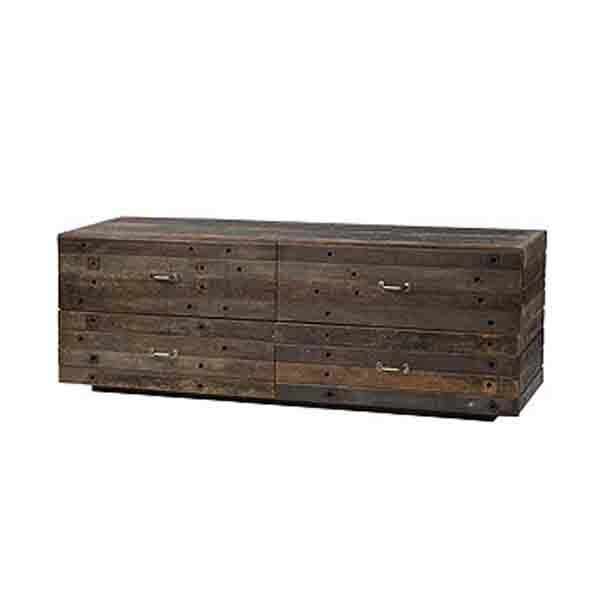 We take reclaimed wood from old demolition sites and transform the nature-hardened wood into magnificent furniture. The Sloan is a product of this process and it comes to you with four extra-large drawers for storage in a unique design for your bedroom.